Moving is stressful enough on adults. When you add kids and pets into the mix, it can become particularly difficult. At Eppright Homes, we strive to make your homebuilding process as comfortable and stress free as possible. So, we want to share some advice on how to make the transition from your existing home to your new home as easy as possible on your entire family. We hope these strategies will help everyone cope with the anxiety of moving with kids and pets. It’s important to provide your kids with advanced knowledge of the move to give them time to get used to the idea and process their emotions about it. They will need time to prepare for such a large change in the routines they’ve come to know. Encourage them to talk openly about their feelings and reinforce the positivity they have ahead of them. Stay enthusiastic about the move, even if the stress gets to you. Kids need to see that you are excited. Then they too, will feel the excitement of the new adventure that lies ahead. If possible, visit your new community and show them around the parks, schools and stores. Involve them in the process by allowing them to choose the paint colors for their new rooms. This helps to decrease their anxiety and gives them something to look forward to. It’s important to make sure that your pets are up-to-date with their vaccines and any other veterinary needs before moving. First and foremost, for their health and well-being, but also, doing this well ahead of the move saves the stress from having to do it after the move and possibly with a new veterinarian. Also, be sure to get copies of all your pet’s records if you need to change practices. Get your kids involved in the move by asking them to help pack their rooms before moving day. Have them pack their favorite items in one box that can easily be identified in your new home. If they know they are an important part of the whole process they will feel empowered; and that instills confidence. The day of the move ask them how they feel and give them time to express their feelings. Ask if they want to be there or if they would prefer to go to a friend’s house. Let them know that you will be very busy that day and it’s ok if they would prefer to be elsewhere. If you are moving long-distance, be sure to make arrangements with friends or pet-friendly hotels along the way. Your pets will be confined in the car and that can be stressful enough. They will need ample exercise to help them combat the nerves and boredom while traveling. The day of the move, there will be many open doors. 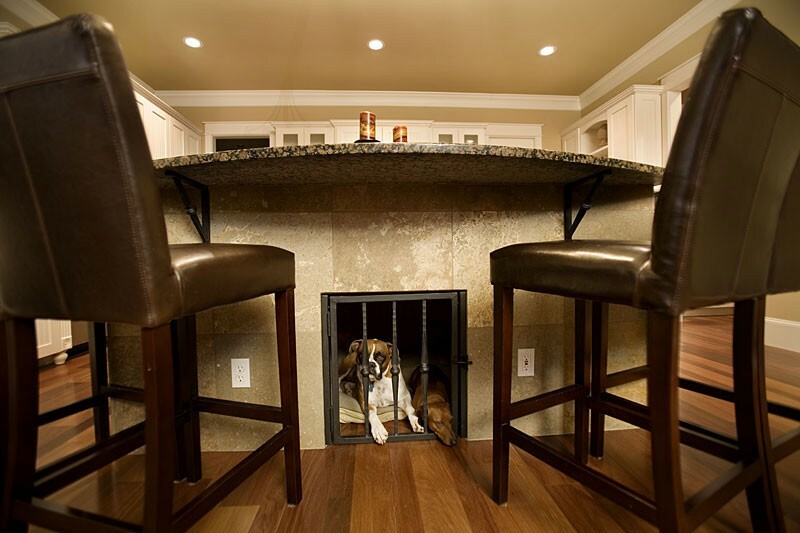 Be sure that your pets are confined to a room or area where they cannot escape. It’s a very busy and hectic day for everyone so it’s important they are safe. Another option is to remove your pets completely from your home by sending them to a neighbor or a pet-sitter. This way you don’t have to worry about their care since you will have other issues on your mind. Remember that box you had your kids pack? The one with their favorite things? Unpack that box first…actually, try to unpack all their belongings first if you can, or at least early on. It’s important for them to establish a sense of belonging as soon as possible. Try to stay on track with family routines, like taco Tuesdays or family game nights. The more the days in the new home are similar to those in the old, the easier it will be for them to adjust. A new home can be scary for both kids and pets. Keep both routines as similar as possible, including mealtimes. Your pets can be particularly nervous about their new surroundings and may accidentally run away. Update your pet’s ID information with your new address and phone number. This can include their ID tags and/or their micro-chip information. Contact a new vet, if necessary, and get them established as a patient so that their medical needs can be addressed immediately if required. You’ve built your dream home and are looking forward to the many years your family will share there. Moving into your new home should be a positive experience for everyone. Although it can be frightening for kids and pets, proper care and preparation for everyone involved will help ease the stress. Then all you have to do is look forward to starting a new life in a home that you’ve built with love.